Lot 915. 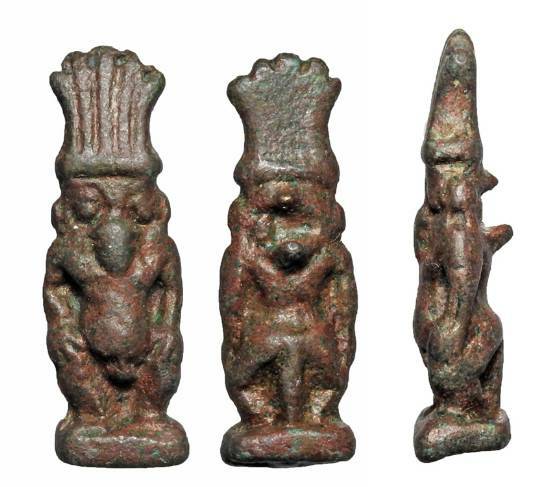 Bronze Amulet of Bes. Egypt, Late Period, VI-III Century BC.